Immigration attorney Agxibel Barajas can help you gain 2 years of removal protection and employment authorization under DACA for a one-time flat fee of $995 paid by credit card. This low flat fee helps qualifying clients receive the legal services necessary to receive the significant benefits under DACA. 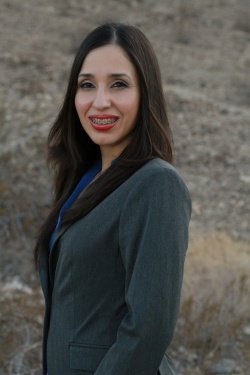 To learn more about hiring a qualified immigration attorney at this low rate call Agxibel Barajas at (916) 218-4123. The DREAM Act was proposed federal legislation that sought to grant young, undocumented immigrants who satisfied certain residence, character, and educational or military requirements with conditional residency and eventually permanent residency. While the DREAM Act never became law a variant of its goal was implemented through executive action under the Obama Administration. In 2012 the Department of Homeland Security announced that it would not deport certain undocumented youth who came to the United States as children. The temporary permission to stay in the U.S. provided under this program is termed “deferred action” as it is the exercise of prosecutorial discretion to defer removal action for certain undocumented youth. The program itself has come to be known as Deferred Action for Childhood Arrivals (DACA). Successful applicants under DACA receive 2-year temporary legal status that can be renewed. The temporary legal status provides the successful applicant with 2-years of protection from removal or the initiation of removal proceedings. Furthermore, the successful applicant can receive 2-years of employment authorization. Were under the age of 31 in 6/15/2012. Entered the United States before your 16th birthday. Have continuously resided in the United States since 6/15/07 to present. Physically resided in the United States on 6/15/2012 and at the time of filing your request for deferred action. Had no lawful status on 6/15/2012. In other words, you never had a lawful immigration status before 6/15/2012 or you had lawful immigration status before 6/15/2012 but it expired as of 6/15/2012. Are currently in school, earned a General Educational Development (GED) certificate, graduated from high school or obtained a certificate of completion from high school, or are an honorably discharged veteran of the Armed Forces of the United States or Coast Guard. Have not been convicted of a felony, significant misdemeanor, 3 or more other misdemeanors, and do not pose a threat to national security or public safety. Call a qualified immigration attorney for a free consultation. Many unsuccessful applicants followed bad advice from notarios and persons without a license to practice law in California. To speak with a qualified immigration attorney licensed in the state of California call Agxibel Barajas at (916) 218-4123.